​this january in athletic business. 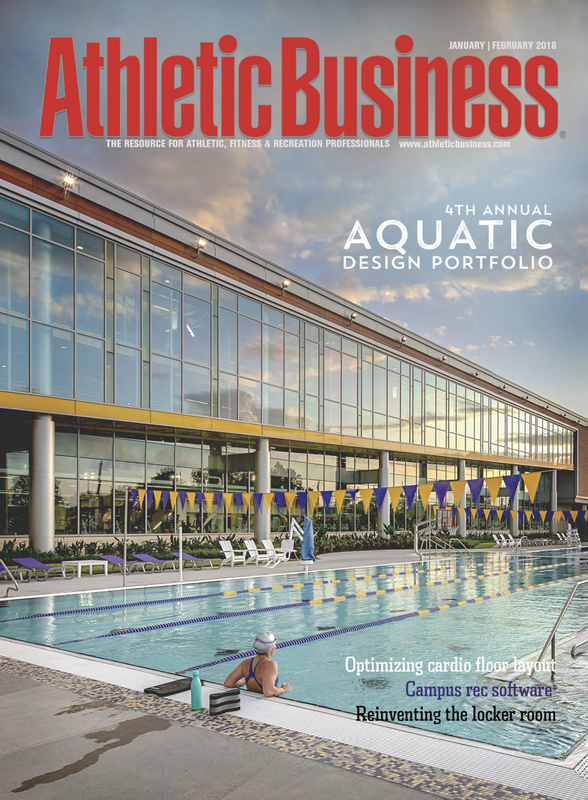 The next generation of aquatic facility innovation, architecture and design comes to life in print and online this January/February in Athletic Business for our 5th Annual Aquatic Design Portfolio. ADP 2019 is the place to showcase your aquatic project to 40,000 athletic, fitness and recreation professionals throughout the United States and Canada – FOR FREE! Inspire, captivate and showcase the innovations and forward-thinking architecture of your aquatic design masterpieces – there is no entry fee and submissions are due November 17, 2018.
start my free ADP submission! Who Can Submit a Project for ADP 2019? Looking for advertising/marketing solutions for your firm? View our 2019 Media Kit to get started.